Here at Pawnmaster tech support we strive to give our customers the best experience and customer service they can imagine! In doing so, we want to help increase your knowledge base so that you may be able to resolve some issues on your own, without having to depend solely on tech support! We understand that time is money! Some basic errors that you may run into on a day to day basis can be found below, with solutions to these errors. Is Your Software Provider a "Ticking Time Bomb”? The industry was given some unfortunate news about Dazzle Pawn this week. It is not only unfortunate for this person's loved ones, but also for all of the pawn brokers who have invested their futures into a one-man software shop without anticipating the consequences that are coming to light today. Of course we don’t expect the worst when it comes to things like this, but this is why it is important to ask solid questions before committing to any vendor. Unfortunately, we have seen similar situations more often than we would like in our 28 years in this industry. Data conversions are part of the business for us but even with that, we never like seeing a fellow pawnbroker go through the stress of trying to get back up and running overnight if things were to go in a bad direction. As we have for a long time, we encourage our customers to shoparound and do their homework. Inventory turnover is a measurement of how many times the retail inventory is sold during a twelve-month period. While total store turn rates are important to know, turn rates are much more meaningful when viewed at the classification level. Are You Getting the Most Out of Your Holiday Season? Each year pawn shops can expect a spike in sales from Thanksgiving Day and throughout the Christmas season. This is a special time of year indeed, as item and jewelry sales spike on any given day as bargain hunters are out to fulfill their holiday obligations. Are you okay with the status quo or are you looking at last years’ numbers and trying to blow the doors off of them? This is a unique time of year to pull out all the stops; the choice is yours. 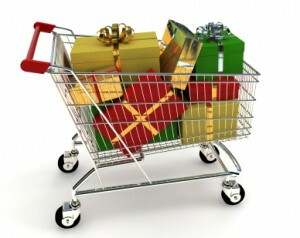 Shops can generally see upwards of 30% of their total annual sales revenue during the holiday season each year. Do you have the data points available to you to capitalize on this unique opportunity that you have in front of you? Here are a few things to think about as you ramp up for this holiday season. Because we all use bar codes in our daily routine, we wanted to share this cool,yet informative infographic about the history of the barcode that is now turning 60. As you know PawnMaster uses several different types of barcode scanners that help you manage your inventory. Happy Anniversary Bar code! Today is the 60th Anniversary of the barcode; and if you’re interested in learning more fun facts like the ones above as well as how the barcode came to be, its practical uses, and how industries have implemented the technology today, check out the infographic below. It's that time of year where things get bananas around the shop and the exchange of money really starts to flow. Will you, or are you ready as the influx of people start showing up ready to pawn, buy, or sell their items? PawnMaster can help you be that extra clerk, manager, or set of eyes you need when things get chaotic. Think of PawnMaster as your must trusted employee that always has your back! As we come into the heart of the holiday season, we are here to support you with any and all of your hardware and software needs. Feel free to contact one of our industry specialists for assistance 888-949-7296. Here is a great article we found about the upcoming holiday season. In one town in Kentucky, city council wants all pawn shops to keep computer records of how they got the items in their stores in an effort to reduce crime. When the Police say they want help collecting more information most Pawnbrokers feel this is going to be more of a chore and take more time. Some would agree, but those elite Pawnbrokers who use PawnMaster pawn shop software would likely disagree. 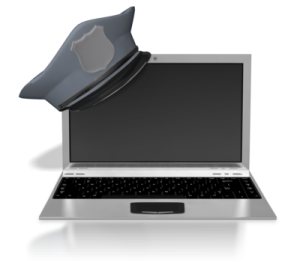 PawnMaster collects all of the data required for law enforcement agencies and then some. PawnMaster integrates with biometric fingerprint scanners that help clerks practically automate the process for them. With a few clicks of the button they can record fingerprints and update customers profile pictures in seconds. Those police files are then sent over in the format of preference to law enforcement including item description, pictures, etc. PawnMaster helps protect shop owners every way possible. PawnMaster improves the way it educates its Pawnbrokers. During the recent NPA Pawn Expo in Las Vegas, our customers told us throughout the show, that they absolutely love the PawnMaster "Did You Know?" videos that we have produced so far. 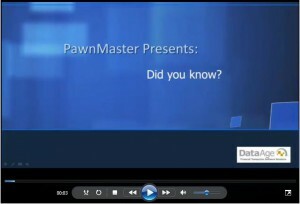 PawnMaster pawn shop software is launching "Did You Know?" series based on your positive feedback. We strongly feel, that things like this really help separate us from our competitors. We strive to educate our customers on how they can maximize their return on investment by offering helpful tips and suggestions that can ensure you are getting the most out of this powerful pawn shop software. The "Did You Know?" series will be a combination of technical support tips and other ways that will minimize frustration and maximize revenue generated. Our goal is to provide at least one or more of these videos monthly. If you have not seen any of the current videos that have been published, head over to our Youtube.com/dataagesoftware channel and subscribe. This way you won't miss any of the new ones as they get posted. We will do our best to notify everyone as they are published.